We will now apply this technique in the following examples. 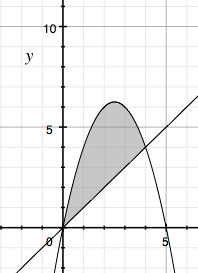 Determine the area trapped between the curves $f(x) = 5x - x^2$ and $g(x) = x$. 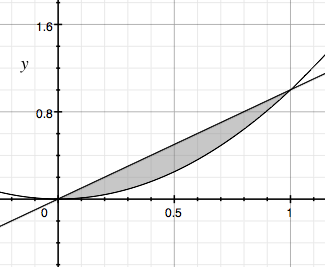 Calculate the area trapped between the curves $f(x) = x$, $g(x) = x^2$. 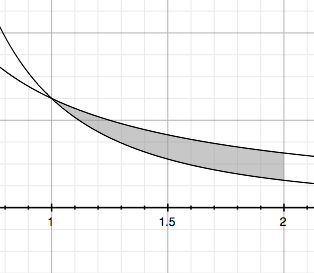 Calculate the area trapped between the curves $f(x) = 1/x$, $g(x) = 1/x^2$, and $x = 2$. Calculate the are trapped between the curves $f(y) = 2y^2$ and $g(y) = 4 + y^2$.